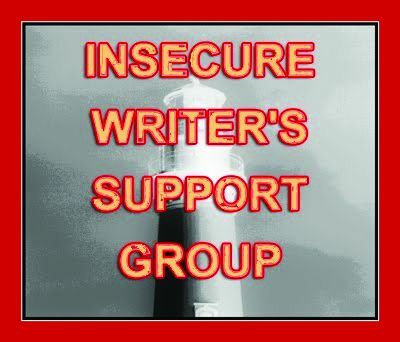 Ultimate Scarifice, with reviews, interviews and promotion posts, which is available NOW. I'm asking myself what will people think/ say about my short story/novella? and you can now see J.L. Campbell interview post. My HUGE thanks to them. 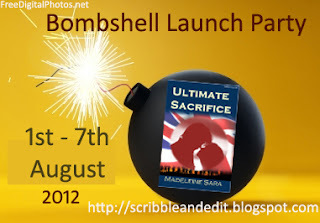 See tomorrow's post for the next blog tour links. 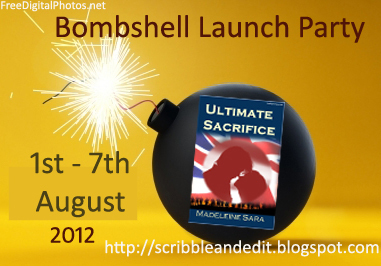 Since there's more than one bombshell in this novel, I am organising a Bombshell Launch Party to celebrate the forthcoming release of my eBook Ultimate Sacrifice on 1st August now extended to 7th August. Hi Maddy. 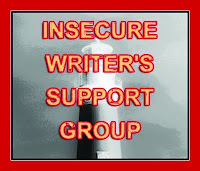 You also got a shout out on my IWSG post. I downloaded my copy today. I'm looking forward to reading what happens after Chapter 1 :)I hope you have a great launch week! Don't know if I could drop a bomb on someone! Congratulations on your book. I'll mention it tomorrow in the Ninja News. Wishing you every success with your second launch. CONGRATS! I just downloaded our novella. I am looking so forward to reading it. Thanks for the copy! I will write a review the moment I finish it... hopefully sometime next week. GOOD LUCK. I wish you lots of marvelous reviews!